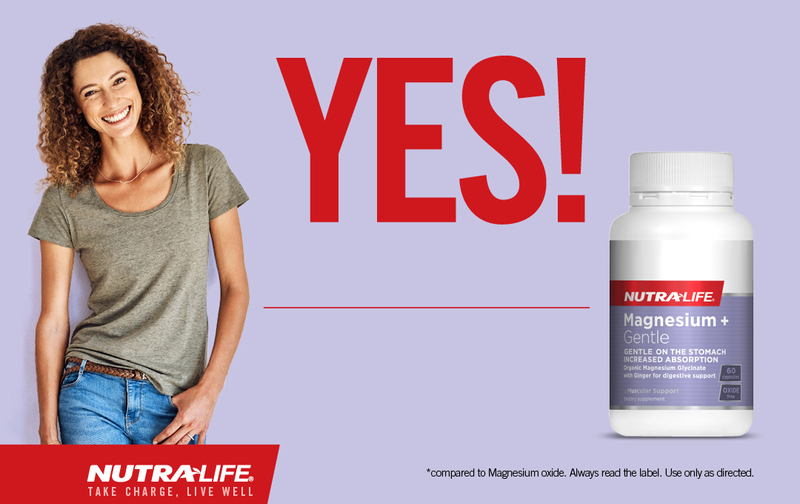 Whatever your age or stage, getting enough Magnesium is crucial for good health. Magnesium is an essential mineral that is needed by every cell to function correctly as it is involved in hundreds of biological processes. Magnesium + Gentle is gentle on the stomach as it is formulated with Organic Magnesium Glycinate for better absorption when compared to Magnesium Oxide. Recommended Adult Dosage: Take 3 capsules daily with food, or as directed by your healthcare professional. If taking blood thinning or blood pressure medicines, please consult your healthcare professional before use. Gluten, wheat, animal products, soy, artificial colours, artificial flavours, artificial sweeteners or preservatives. Suitable for vegetarians and vegans. Always use the label. Use only as directed. Mineral supplements should not replace a balanced diet.